In a previous blog, Leadership Diversity Within Supply Chain – More Than Just A ‘Nice To Have’, I discuss the benefits and the necessity of women breaking the glass ceiling within supply chain and procurement leadership ranks. Very few women have done so however: only twenty-two (4%) Chief Supply Chain Officers (CSCOs) for Fortune 500 companies are women. As we look closer at Fortune 100 companies, the number of female leaders in supply chain diminishes only to three: Peyton Howell (AmerisourceBergen), Maria Lindenberg (Chevron) and Kathryn E. Wengel (Johnson & Johnson). Amidst all the great progress made within the past decades in advancing female professionals to senior leadership ranks and the C-suite, it is clear that the glass ceiling has not been completely shattered just yet. I had the opportunity to interview one of the few women leading supply chain for a Fortune 100 company, Kathryn E. Wengel, on the question of Diversity and Inclusion within top leadership roles and have learned her story on shattering the glass ceiling. Kathryn E. Wengel (Kathy) is currently Worldwide Vice President of Johnson & Johnson Supply Chain (JJSC). She serves on the Johnson & Johnson Management Committee and chairs the JJSC Leadership Team. She is also a member of the Regulatory Compliance & Government Affairs Committee and the Science, Technology & Sustainability Committee of the Johnson & Johnson Board of Directors. She is a member of the SCM World Biopharma Board, the GS1 Global Management Board, and the Advisory Board of AWESOME Cross-Industry Supply Chain Leadership initiative for women; she was also the recipient of AWESOME’s Legendary Leadership Award in 2014. 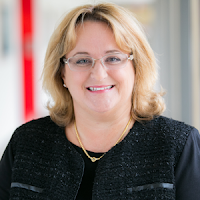 Kathy is the executive sponsor for J&J’s Women’s Leadership Initiative and the leader of J&J’s Women in Science Technology, Math, Manufacturing and Design (WiSTEM2D) program. Additionally, Kathy was recognized by the National Association of Female Executives (NAFE) through their Women of Excellence Award in 2015, and received the 2015 Thinkers & Movers Award for innovative leadership by DSC Logistics. For more information see Kathy’s biography. The Early Days: "My passion... started me on this path"
Tatiana: Could you briefly tell me about your childhood? What was your dream job as a child? Kathy: When I was a child, I knew my dream job had something to do with science and technology. I always gravitated toward mathematical and technical things. I liked Legos and blocks – building things. I loved pushing buttons and seeing what happened. My father owned a data processing business with IBM mainframes – very unusual as an entrepreneur in the 1970’s - and I would go to work with him often, and my mother was an accountant. I am fortunate to have parents who encouraged and supported me, my sister and brother to find what we loved to do and then do it. Tatiana: What motivated you to pursue a BSE (Bachelor of Science in Engineering)? Engineering is yet another field where gender diversity is lacking. How was your experience as a female pursuing an engineering degree in a highly male dominated field? Kathy: My passion for math and science growing up started me on this path. In high school, I was fortunate to have a math teacher who nominated me as a candidate for a summer week-long program for girls at Stevens Institute between junior and senior year, run by SWE (Society of Women Engineers). I believe it was called “Women In Engineering”, and each day exposed us to a different field in engineering – electrical, civil, mechanical, etc. Prior to that program, I had thought I wanted to be a computer programmer, but this opened my eyes to more options that brought together my love of building things and the emerging computer science field. I decided to go to Princeton, which at that time had only been coed for a little more than a decade – and in a University over 200 years old, it takes time for change to pull through. There weren’t many women in most of the engineering disciplines, so there was the occasional “Good Morning, Gentlemen” from some of the older professors. But overall, I think we were welcomed. I was confident in my capabilities and I believed that professors, people, managers, etc. were there to recognize talent and contributions regardless of gender or ethnicity. Princeton had been building a much more globally diverse student population, which I think helped. By the time I was a senior, I had experienced a lot of opportunities, with great professors – mostly male - who challenged us to think very differently about the world. Along the way I changed my major from Electrical Engineering & Computer Science to Civil Engineering & Operations Research, which better blended my love for “building things” with the analytical skills for problem solving in operations. I had a thesis advisor who inspired me to work across disciplines in some ground-breaking research that looked at how the human brain processed information, and its link to problem-solving. At the time I didn’t realize how pioneering some of the ideas were – we were researching machine learning, Artificial Intelligence, and self-driving cars – topics that really resonate today. But it was 30 years ago! That focus on finding emerging ideas and conceptualizing them into reality became the cornerstone of “my brand” and how I lead. Tatiana: Have you ever encountered any professional barriers as a young adult due to your gender? Kathy: Coming into business in the late 80s, we were at a generational change. We definitely heard comments that today would make you cringe or worse. But I was fortunate that J&J was a very forward-looking company, and invested to help educate and build a culture of diversity. It also knew where to draw the line, and when to give people time to adapt. No company is perfect, but J&J worked hard to help the older generation understand new expectations and adapt, while also encouraging the younger generations to step up and help shape the culture. Now nearly 30 years in, I see the same thing happening again – although this time I am more on the older end unfortunately! But I remember how it felt to be early in career, and it absolutely influences how I try to listen and learn. Tatiana: How did you come to work for Johnson & Johnson? You have been with them for about twenty-eight years. How would you describe your experience at J&J? Kathy: I was hired by J&J right out of college. I came to work for Janssen, which is J&J’s pharmaceutical division and today sells over $17B annually in the US, but then it was $88MM. To a person, everyone I met talked about the patients, about the medicines they were working to bring to the U.S., about how these would treat unmet need, and how confident they were that they could change the world for the better. There were only around 300 people in Janssen at the time, so it was functioning more like a start-up inside J&J. They shared with me Johnson & Johnson’s “Our Credo”, and I was hooked. I couldn’t stop thinking about the environment they were creating. So I took a chance and J&J took a chance, and here we are 28 years later… and I’ve loved every minute of it. I don’t take any of it for granted. I’ve been very fortunate to work for a company, and in an environment, that recognizes people for their talents and rewards people for not only the results they achieve, but how they actually achieve the results. I’ve moved around the world and experienced variations of that based on local culture, but overwhelmingly found people who would take the time to know you, if you did the same, and bring together the best of diversity to meet the needs of our customers. And throughout my career, I’ve been fortunate to receive some terrific coaching and mentoring, extensive cross-functional exposure to all of our different businesses and functions, strong leadership support and sponsorship, and wonderful global growth-oriented job assignments. All of these are important ingredients for nurturing the next generation of leaders. Overcoming the Glass Ceiling: "I also am someone who 'runs into the fire.'" Tatiana: J&J ranks 39 amongst U.S. Fortune companies. Currently there are only two females on the J&J executive management team and you are one of them. Furthermore, there are only three female heads of supply chain and procurement within Fortune 100 companies and you are one of them as well. Some would say that you have shattered the ‘glass ceiling’ and have achieved a rank that few females manage to do. Would you agree that there is a ‘glass ceiling’ for female professionals within Fortune companies? Do you think there is a glass ceiling for female professionals in supply chain? If so, why is that? Kathy: It is certainly clear from the facts and numbers that there still is a lot of work to do in all these areas. Until women in the workplace – at all levels - represent our percentage of the population, and at the same wage levels, we still have room to improve. The same is true for ethnic diversity. But just using metrics for diversity is not enough. You need to create a culture of inclusion that brings together those diverse backgrounds and voices into a high performing culture. The D (Diversity) and the I (Inclusion) are two very different and very important elements for leaders to drive. In functions that are more technical in nature, I think the problem is exacerbated. I am truly embarrassed to say that when I came into this role as CSCO, I had no idea how low those numbers were at the top of the supply chain house. My jaw literally dropped. How could I have aspired for 30 years to a role like this, and never realized that no women were getting above a certain level of VP? In some ways, I guess I was fortunate to have been so focused on just doing what I loved, continuously learning, and building my career from that and always assumed I could do most roles if I worked hard enough. I have never been one to particularly like to do or not to do something (especially roles or big life changes) just because someone tells me it can or can’t be done – my family and colleagues can attest to that! I also worked and lived outside the U.S. for 15 years, and in some way had just “expected” the U.S. was making progress during that time, while I was busy trying to make progress in other countries that were further behind. But the impact of these low numbers has motivated me over the past three years to invest much more of my personal time working to improve the path and profile for women in supply chain across all industries. There are still perceptions about working in manufacturing that are often outdated but are off-putting for women. We must work actively to change that. Women have many natural abilities that make them terrific manufacturing or logistics leaders, but we need to do a better job of sharing the experiences of female role models, and making the connections for young girls and women so they are more likely to even consider supply chain as a career option. Women have to be deliberate in their career choices and not allow barriers or stereotypes to prevent them from managing their career. I tell people to make sure they do what they love but also continuously try new things and expand what the love to do, so they can make the choices that help them reach their desired level and potential. Tatiana: How did you overcome the ‘glass ceiling’? How were you appointed to the CSCO role at J&J? Were you expecting this appointment? Was there competition for the post and if so do you think that gender played a role? Kathy: In many ways I prepared throughout my entire career for this role. In J&J, Supply Chain includes New Product Introduction, Planning, Manufacturing (Internal and External), Distribution, Customer Service, plus three big technical functions that support our entire business – Quality & Compliance; Environment Health Safety & Sustainability; Engineering, Real Estate and Facilities. I worked in most of those areas, and did so in multiple locations around the world. I also built my career around moving quickly into whitespace, proposing ideas or crafting roles based on emerging needs. Of the 13 distinct jobs I have had in 28 years, only #8, #10, and #13 existed before I went into the role, and each of those I shaped into something very different than they were before I went into them. I also am someone who “runs into the fire.” I am a bit “out there” on the scale of “have no fear” when it comes to new things at work. Conversely, outside of work I’m very different. I have no desire to skydive or climb Everest. I think I max out on change at work, so my husband will tell you that at home I like things simple. But on the job, this love of a challenge really helped differentiate me – I was always willing to take on the hard assignments or the ones that needed fundamental change or rebuilding. My role immediately prior to CSCO was as the first Chief Quality Officer (CQO) in J&J’s history. I went into that new role at a time when we had several significant issues that had caught us unprepared, and my job was to quickly assess how broad, deep and pervasive the problem was or was not, stop the bleeding, and build a comprehensive solution that went far beyond just a corporate functional leadership role. It played to my strengths, but also was the biggest challenge of my career to do something across all our 250+ companies and businesses. It was also my first exposure to our Board of Directors, and I had to learn how to explain complex situations succinctly, and to articulate risks and opportunities in a much less technical way. There was a slate of both internal and external candidates for CSCO. The CQO experience – along with the fact that I had delivered strong business and leadership results in most areas of SC in multiple regions around the world - absolutely helped differentiate me in the selection for CSCO. Tatiana: Why do you think there are so few women in leadership roles within supply chain and procurement? Is it possible that women are not interested in being in this space and therefore there are fewer qualified candidates? Kathy: I think there are so few women in supply chain leadership roles because we have a talent pipeline challenge. And it starts with girls from a very young age – from around the age of five years, and continues to persist as young girls go through high school, college and enter the workforce. Girls and young women tend to lose interest in STEM fields and drop out of these fields of study, so by the time they enter the workforce, the representation of women is already on the decline and it continues to decline the higher the levels go. So – if there are very few women pursuing careers in supply chain, you end up having even fewer senior level women supply chain candidates and ultimately leaders. I also think that having mentors and sponsors is critical for women, and we tend to have fewer as compared to their male counterparts. Tatiana: Have you experienced any gender bias (good or bad) as a matured professional? Or have you observed any such bias targeting other female professionals in your experience? Kathy: The bias looks different in today’s world. It’s as simple as going to an industry conference and seeing that somehow, in 2016, most of the panels and presenters are still all male. Or, that side events are all “golf” or “off-road driving”. The issue is not that women want “spa days” vs. off-road driving, but that these examples are not building inclusion. They put you in tiny groups where it is difficult to fit in if you aren’t already one of the gang. I used to just shake my head and think “How do leaders not realize the impression this leaves? “ But now I speak up. Some wonderful female mentors years ago encouraged me to find a variety of ways to influence things – expanding the leadership tool-kit so to speak – in order to avoid being labeled with the dreaded “pushy.” It was terrific advice, and helped me learn how to influence in many different ways. But frankly, sometimes, you just have to be a bit direct to open some eyes. At the same time, I always try to bring constructive practical suggestions to help change things. Kathy: I think there are many factors that are impacting the low numbers of women at senior levels, some of which stem from the historical corporate cultural norms, country cultural norms and even self-imposed barriers that women place on themselves. It still varies tremendously by cultures in different countries, and how well (or not) support structures are there for women. I have heard and seen heart-breaking stories of incredibly talented executive women, with the salary and great fortune to be able to have help at home, who are shamed into giving it up by family members who cannot accept today’s world. The women try to work through it and stand up to it for years until finally it is too much and they just can’t take it anymore and sometimes just give up. This is the 21st century for heaven’s sakes – how can we still behave this way? Hopes For The Future: "Set women up for success"
Tatiana: What do you think is the solution to gender inequality within top management roles? Kathy: First, start exposing young girls at an early age to the possibilities of professional careers and continuously let them see role models. How many times are female scientists listed along with great male scientists in equal numbers? Encourage girls and build their self-esteem/confidence so they truly believe that they are capable of accomplishing anything they choose to accomplish. Provide girls with access to education, information, coaching and tutoring, and show women that they can create a work/life integration or balance that enables them to have a family and a career if they choose. Then, set women up for success in the workplace – present them with opportunities, encourage them to expand their experience base and shape creative solutions. Reinforce diversity and inclusion programs to ensure biases and stereotypes are broken down and don’t prevent women from growing and taking advantage of promotional opportunities. I also think that over the past thirty years, as some roles started to open at the top for women, this created a situation where women often weren’t really helping or advising other women. If you thought that maybe one of ten jobs could become open for a woman, it made the competition for and among women ten times stronger. I hope, frankly, that we are moving beyond this. We need to help and support each other. Building a talent pipeline of tens of thousands of top executive-ready women has a cumulative impact that will, I am confident, award many more of those seats to women in the future. Tatiana: You have been a recipient of many awards, a member of AWESOME, and a passionate advocate for gender issues and equality. Do you still believe in advocating for women’s rights? Could too much advocating on gender issues backfire and harm women within the workforce? At J&J, we have a long history of women having key roles in our company. One hundred and thirty years ago, 8 of our first 15 employees were women. In 1907 we hired our first female scientist and our overarching goal is to champion women for Improved Business Results and Global Health. Recognizing that more than 80% of a family's healthcare decisions are made by women, with our Women in STEM program, we hope to increase the participation of women developing the technology and products that are used to keep people healthy. Across industries, I am also an Advisory Board Member for AWESOME – Achieving Women’s Excellence in Supply Chain Operations, Management and Education, a ground breaking organization founded by Ann Drake in 2013. We’ve been working to build a network of senior executive women in supply chain across all industries. We sponsor events and symposiums which bring women together to build stronger Supply Chain and business executives ( http://awesomeleaders.org ). Tatiana: What would you advise young female professionals within supply chain and procurement, or any other field for that matter, on breaking the glass ceiling? Kathy: No one knows your aspirations better than yourself – so you have to make sure people know those and that they are committed Embrace different opportunities for job assignments, relocation (if possible for you), and special projects to grow, develop, build relationships and gain visibility. Showing an active interest in continuous learning and a willingness to take some risks can help you stand out. It also helps to get and stay involved in internal and external professional activities, including associations, and community events; all of these help build a strong network. Networks create access and opportunity, get you access to timely information and knowledge, and can act as reference points and referrals. It’s important to keep current with industry trends, career opportunities, and education/training opportunities – in many cases it will point you to an emerging area where you can be a pioneer – often those have fewer barriers. These networks can also serve as a path (and sometimes life-line) for your career growth and advancement as well. Finally, identify mentors, and sponsors that can help you prepare for promotional opportunities and stretch assignments, as well as help you navigate your career. I would like to thank Kathy for her time and willingness to provide this interview as well as for being a true role model to many young women in the U.S. and around the world! This interview has been edited and approved by Kathy E. Wengel.